All photos courtesy of the New York State Attorney General’s Office unless otherwise noted. Last week, the ASPCA assisted the New York State Attorney General’s Organized Task Force and the Suffolk County Police Department in the rescue of 36 dogs who had allegedly been bred and used in what police are calling a dog fighting ring. 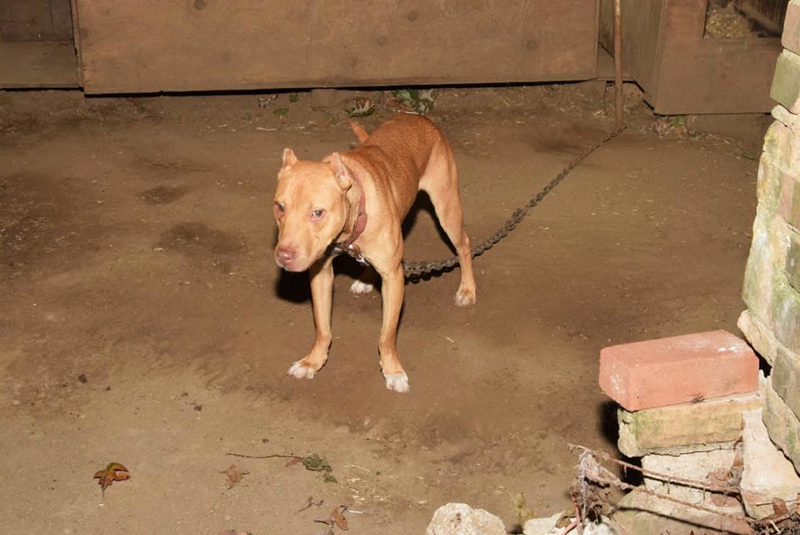 The investigation, known as “Operation Bloodline,” began in March 2017 following reports of dog fighting on Long Island, and concluded last week when investigators searched two separate properties where they found the animals being held in deplorable conditions. In addition, at one of the properties they found common dog fighting paraphernalia including bloody “breaking sticks” that are used to separate dogs, heavy chains, weighted dog vests and performance-enhancing supplements. 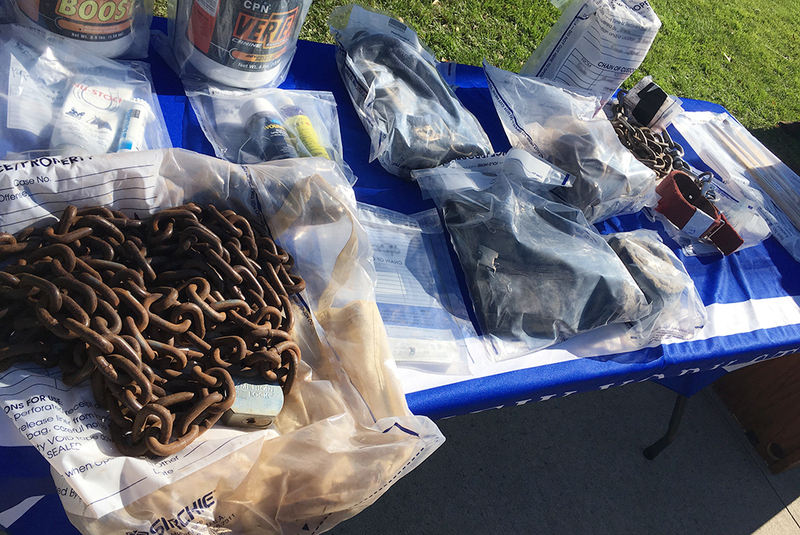 Evidence collected on the properties included rusted, heavy chains used to tether the dogs. The dogs, ranging in age from one week to seven years, were found mostly segregated from each other, some tethered with heavy chains without access to food or drinkable water. A majority of the dogs were found with scars and wounds consistent to fighting, and their appearance indicated that they had not been properly cared for or walked in quite some time. 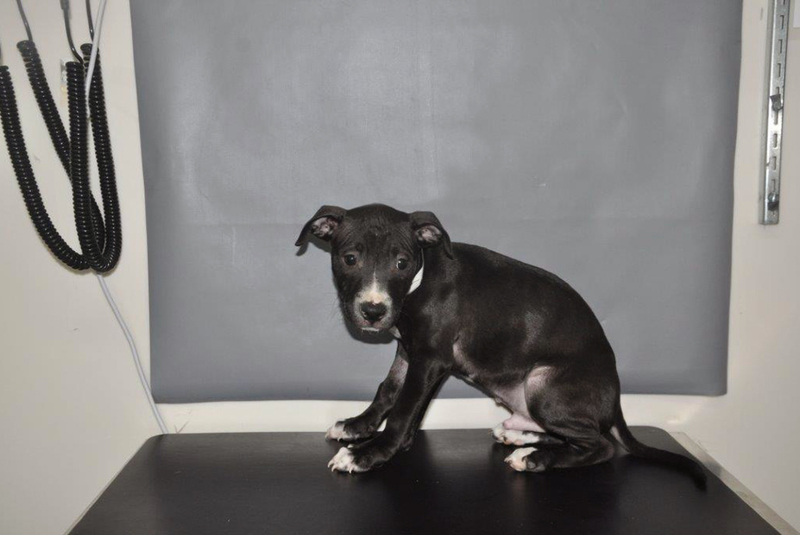 This investigation resulted in three felony arrests, and the ASPCA will continue to assist with forensic evidence collection, legal support as well as the sheltering of the rescued dogs. These victims were taken to an ASPCA facility, as well as a boarding partner facility, where they will be given proper medical care, food, water, warm beds and time to heal. 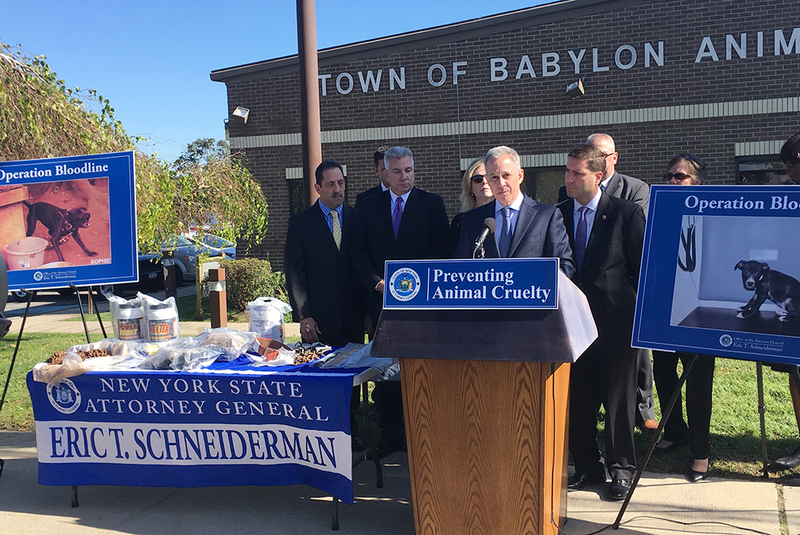 In a press conference last week, Attorney General Schneiderman spoke to the public about the need to end this vicious blood sport. Our hearts break for the immense tragedy these dogs have faced, and we remain committed to providing assistance to the local police in this investigation and to giving the animal victims a second chance. Countless animals around the country are counting on your compassion, your outrage and your willingness to stop their suffering. Learn more about this heinous blood sport and what you can do to help stop it.